Ever wonder how experienced art world professionals separate out the best art from the rest? Me too. So I asked Myself, “What makes good art? To me Quality, quality, quality. This is the subjective key to good art. In all periods of art there are good and bad works of art. I find that defining quality in representational art is easier than in modern and abstract art, But Sometime you find that Work of art that slaps you in the face and demands you to stop and pay attention to it and this Painting Called Ciudad by Andres Tavarez is a very good example of what I mean. What is this mesh work of color? 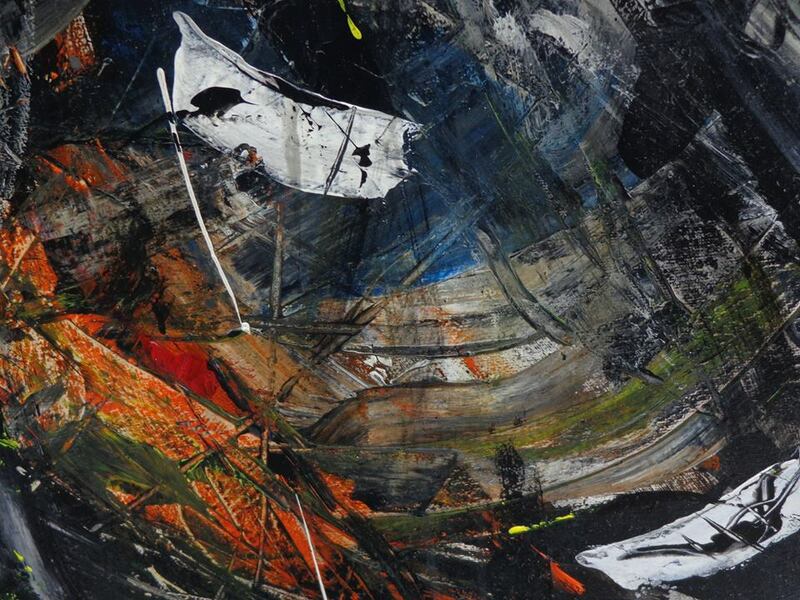 Is it Abstract, or may be Expressionism or can it be called Abstract Expressionism? You be the judge but one thing I can say is that Tavarez has a great effective combination of concept, vision and mastery of medium. Good art is uncompromisingly honest, unselfconscious, bold, ambitious, enlightening, original, challenging, and feast from all of our senses. It doesn’t necessarily have to have all of these qualities, but at the very least it has to keep you coming back for more all this feeling where present when I saw this 36 by 48 painting. 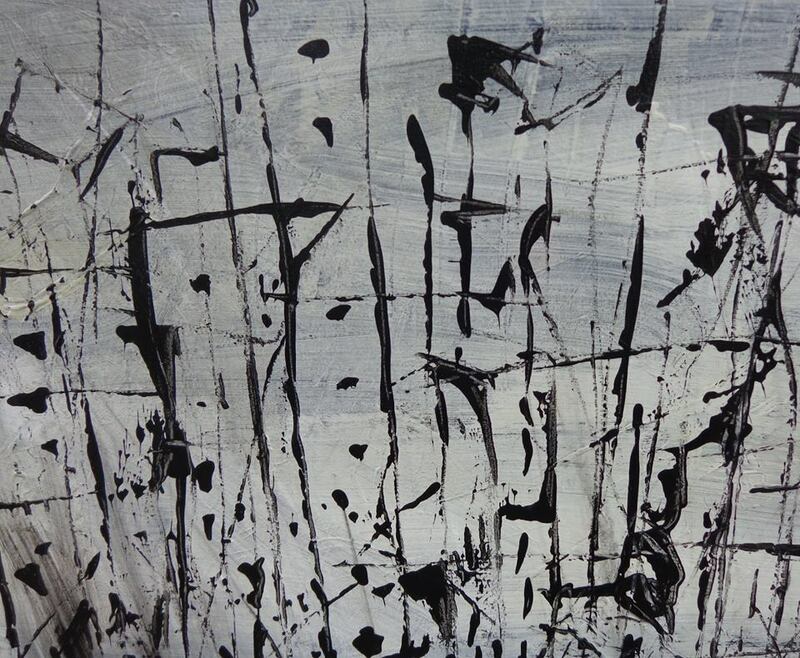 The black bold color made this a mysterious painting, the jackson pollock drip style on the top that gave it a free style composition and the silhouette on the bottom gave a partially abstract construction which made this a great fusion art work. 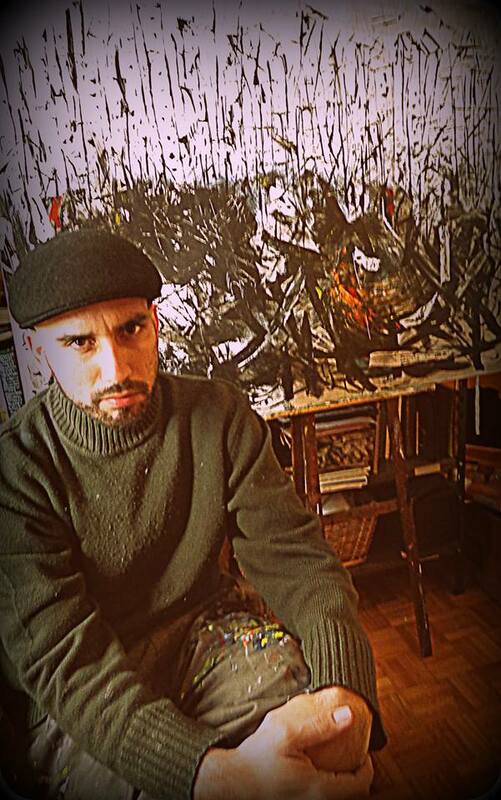 Andres Tavarez is the kind of artist that has the capacity to reinvent their creativity through various skills and mediums. This is a great quality in him, one day you may see a painting of a beautiful vineyard other days a material composition of a Boot with Holes and from time to time painting like the “Ciudad”. Creativity is not an ability but a talent. 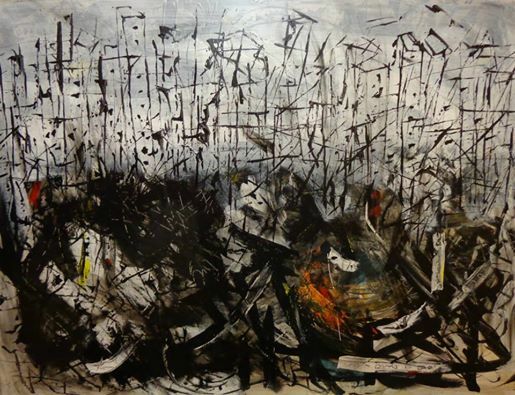 It is considered a must talent if you want to emerge as an expresionist abstract artist and Tavarez has prove this once again with his colosal painting called La ciudad thats the main reason why I felt in love with this piece from the moment I saw it and decide to select it as painting of the Month. Great contrast, Great lights, Great shadows and most of all, it achieves beauty and good execution as a Modern work of art.